The livestream is free on westhealth.org, but registration is required. Please sign up today and be sure to follow @WestHealth to be a part of the #MHPAGreatDebate at #MHPA18. 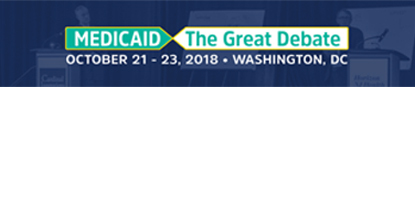 The Medicaid Health Plan of America’s (MHPA) annual conference is the must-attend conference where the country’s health plan executives go for all things Medicaid. MHPA represents the largest Medicaid Managed Care conference for everyone who has a stake in the success of Medicaid. On Monday, October 22nd, please join Adaptation Health, with support from the West Health Policy Center and the California Health Care Foundation, for a free livestream where expert speakers will discuss innovative models of care to improve the lives of Medicaid enrollees, as well as debate and discuss the future of Medicaid innovation.